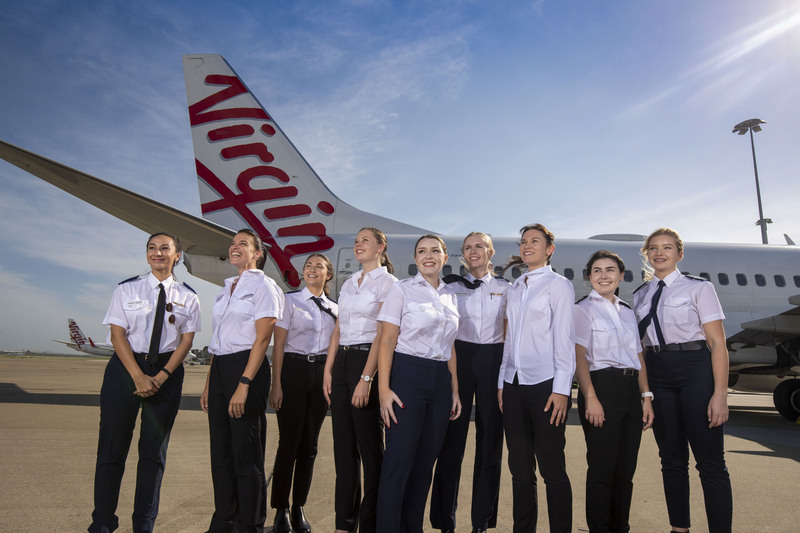 Virgin Australia has exceeded its 50-50 intake target for the 2018 Pilot Cadetship program, with a 56 per cent female intake. That’s a huge 200 per cent increase on the last program! “Virgin Australia is committed to increasing gender diversity across all areas of our business and in particular the non-traditional roles of aviation,” Virgin Australia Group Executive People, Lucinda Gemmell said. “We received more applications than ever before which has allowed us to select the best individuals for our next cadetship,” the airline’s Director of Group Flight Operations, Stuart Aggs said. This announcement comes after the Virgin Australia Group was selected by Tamworth Regional Council in October as the preferred airline group to establish a world-class pilot training centre in the New South Wales city.